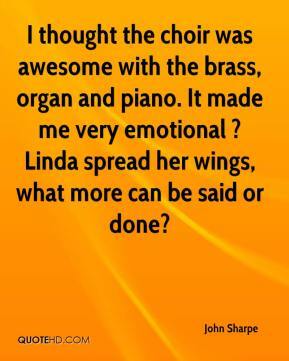 I thought the choir was awesome with the brass, organ and piano. It made me very emotional ? Linda spread her wings, what more can be said or done? 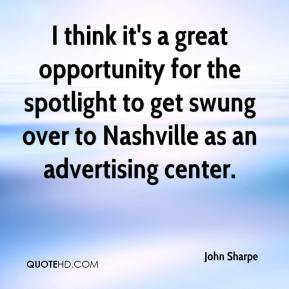 I think it's a great opportunity for the spotlight to get swung over to Nashville as an advertising center. 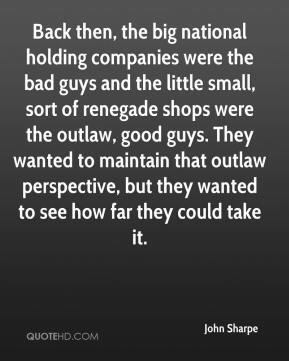 Back then, the big national holding companies were the bad guys and the little small, sort of renegade shops were the outlaw, good guys. They wanted to maintain that outlaw perspective, but they wanted to see how far they could take it.